It’s really important to use that people love our brand and our products. We are all about individuality, and we want to create pieces that let you show off your amazing, unique personality. I’m not often great at accessorising; never really knowing what suits me, or how to wear jewellery at work. So when This Material Culture got in touch with me and offered to send me a piece from their range, I jumped at the chance. This Material Culture are a Liverpool brand who provide handmade, unique pieces ‘inspired by the world’. When they contacted me I took a little look around their social media, and found their Instagram here. It’s a delightful insight into the work they put into their brand, their beautiful jewellery and the inspirations behind it all. It’s really nice to see a local business doing well for themselves. 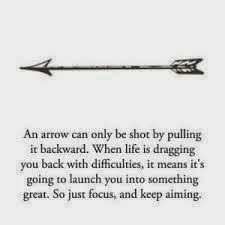 I was able to choose my own piece from the collection, and I decided to go with the beautiful Arrow Necklace* I had my eye on. I was so happy when this arrived in the post, because it was even prettier in real life. I absolutely adore delicate, simple necklaces rather than big, chunky ones so I knew I had chosen right for myself. The quality is amazing, and for only £5 I couldn’t believe it. I decided to team it with a white tee with navy stripes. Something about this combination just screams Spring to me, and I loved it. I’ve been wearing my necklace everyday and gotten compliments on it already! If you feel like supporting small business, head on over to This Material Culture and browse their huge collection. I’d like to say a big thank you to them for thinking of me, and I wish them every success in the future, as they are a wonderful bunch! 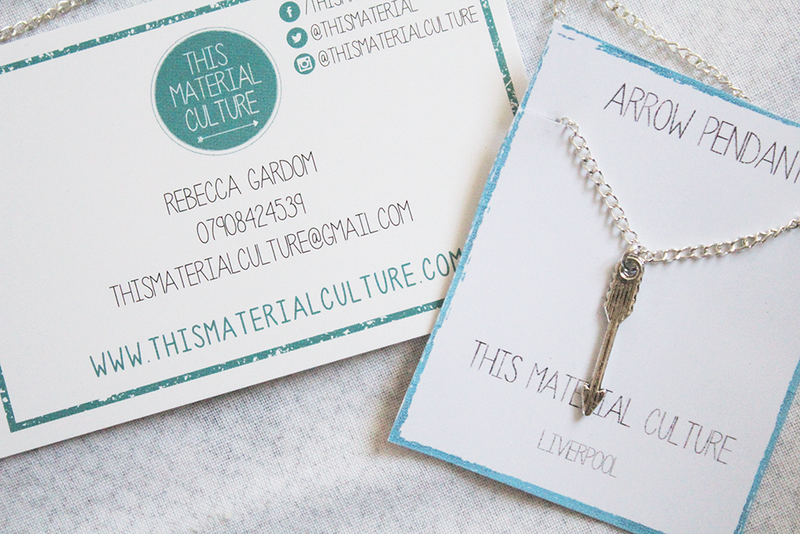 Recently, I was contacted by newborn Liverpool-based jewellery company This Material Culture to try out one of their products. I’m a huge jewellery lover and was really keen to feature some on my blog so this was a great opportunity to do so, whilst giving you guys a little preview into this exciting fresh brand. Launched in 2014, This Material Culture is made up of a wife and husband team – Rebecca (owner and jewellery designer) and Sam Gardom (manager). This instantly drew me towards loving the brand already: for some reason, I find that homegrown, independent talent and family-run companies are the ones I always love the most. It definitely struck me that a lot of heart and soul had gone into this venture and after doing some research, I discovered that – behind the beautiful jewellery – there was a whole lot of passion. This Material Culture’s vision is simple: to create bespoke, handmade and aesthetically pleasing pieces at an affordable price. I know what you’re thinking: handmade unique jewellery, without breaking the bank? It sounds too good to be true, right? Well, I’m delighted to tell you that it’s not. One of the things I love to do when I’m out and about shopping in the suburbs is search for obscure, independent shops that sell beautiful products that I know nobody else will have. However, if you’ve tried doing this yourself then you’ll know just how difficult it is to find things like this without paying an arm and a leg. It’s a great feeling to know you own something original – and to me, it definitely always means more when it’s handcrafted, which is why I was so surprised to see that Rebecca and Sam charge so little for their quirky creations. The brand currently offers a host of different pieces, such as bangles, necklaces and earrings that are inspired by ‘the world‘. The term ‘material culture’ is an archaeological term that refers to the things of everyday life. Rebecca has clearly designed her pieces with personality and originality very firmly in mind, proving that jewellery can still be stunning when made with quirky charms, glass beads and buttons – as opposed to diamonds and expensive stones. I was lucky enough to be gifted with the gorgeous Gatsby bangle (pictured) that I got to chose myself. I’m a little obsessed with The Great Gatsby (the book and the film) so this was perfect for me as I thought the colours were fairly easy to wear with most outfits and I also love the glamour of the 1920s. The bangle is made from black crystal beads and gold and black seed beads, all which are held together on a solid bangle that can easily slide onto the wrist. Each version of the bangle is made slightly different, so you’ll only ever get a completely unique version which is a sweet touch. Although the product itself was very light and dainty, I was nicely surprised with how great the quality of it was. I wasn’t expecting too much, but it felt strong and the beads felt weightless which was nice – the last thing I wanted was a clunky bangle that felt like third-rate junk. It would’ve been so easy for Rebecca and Sam to create their products out of cheap plastics, but they’ve made it very clear that they wanted to do the exact opposite and that is, quite simply, nothing short of captivating as a customer. If there was one thing I could say that opposes all the wonderful things I’ve found in this product, would be that the bangle I tried out was slightly too big for me! Don’t get me wrong, it wasn’t so extreme that it fell off or anything – I think it’s probably down the fact that I have the tiniest wrists ever so it didn’t stay in place the greatest. However, I’m very aware that This Material Culture is a developing brand and with time, perhaps Rebecca will go on to design necklaces and bangles that are readily available in different sizes. In complete honesty though, I’ve found so many positive attributes in this brand and their products, that it’s pretty difficult for me to find something that is totally negative. I’ve become a little in love with their collections and I’m already eyeing up more products as presents for friends and family (like seriously, who wouldn’t want these adorable dreamcatcher earrings?!). This Material Culture are just what the jewellery industry needed to shake things up – eccentric, bohemian and beautifully British styles all crafted by hand with a lot of passion. I’m so grateful to Rebecca and Sam for reaching out to me and giving me this opportunity, it’s been more than a pleasure to feature something so awesome on my blog. In short: This Material Culture make me proud to be British. I couldn’t recommend them more if you want to support a truly authentic and original small business in the heart of Liverpool – this is definitely the start of something amazing. A couple weeks ago I received the nicest email from the lovely Rebecca telling me all about This Material Culture, the jewellery company she launched in 2014 and runs with her husband Sam, and after taking a peek at their site I was instantly sold on their brand and products. My taste in jewellery is very simple and minimal. I’ve never been a fan of extravagant necklaces dripping with diamonds, Rebecca told me that she felt the same and believed that jewellery can have value even without costing a ridiculous amount, focusing more on thought, concept and especially individuality than grand jewels and a massive price tag. So I was naturally drawn to This Material Culture‘s simple yet super super cute pieces. When i had a look around This Material Culture‘s website I was instantly drawn to the Arrow necklace. 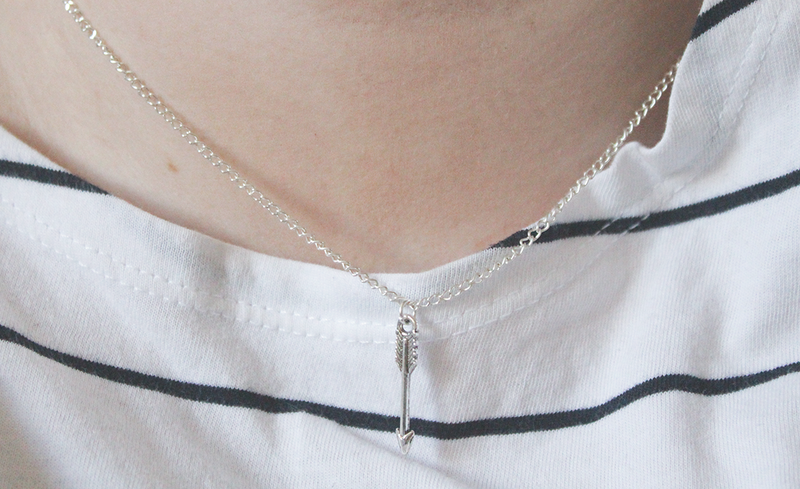 I’d been looking for a simple necklace like this for ages and the arrow is a symbol that means a lot to me, so really this is my dream necklace, massive massive thank you to Rebecca and Sam for being kind enough to gift it to me, I’m in love! I’ve never been more excited about receiving a parcel and I wasn’t disappointed. This is honestly the most beautiful necklace ever! I love how delicate and subtle it is, but it is still detailed and adds a little extra to an outfit. I think it looks so lovely on its own, but is also super easy to layer with other necklaces for a bolder effect. That what I love about the pieces from This Material Culture, they’re super versatile and easy to style, also they’re so many different pendants and designs that you really can choose something personal that means a lot to you, like I did with the arrow symbol. For £5, this necklace really is amazing value for money. The quality really surprised me as on the high-street a necklace for £5 would be a piece of junk. But the quality really is so good, it feels strong and doesn’t look like the gross painted metal you get in stores like Primark. It’s a really sturdy necklace but still looks so beautifully fragile and feels weightless. I’ll definitely be turning to This Material Culture again for presents or even just to treat myself as there’s quite a few other necklaces I’m eyeing up. For £5, you can easily treat yourself without the guilt. Its so difficult to find jewellery that isn’t super OTT or that isn’t covered in jewels, but This Material Culture has really fixed that gap in the market and totally understand that accessories don’t need to be expensive or extravagant to be special and look really nice! And they don’t just do necklaces! They also stock beautiful bangles, earrings and accessories for men as well as women. There really is something for everyone. Love travelling? try out the Around The World collection! Obsessed with the Great Gatsby? The Gatsby bangle is for you! More of a bohemian style? treat yourself to the Bohemia collection. No doubt This Material Culture will have something for you, allowing you to really reflect your personality without breaking the bank. What more could you want? Once again, a massive thank you to Rebecca and Sam for being so kind as to send me this gorgeous necklace, and for asking me to get involved with such a lovely business, I see great things for them in the future. I wish you all the best and you’ve definitely earned yourself a new loyal customer and supporter. Wow! It’s so lovely to have amazing bloggers like these girls saying such wonderful things about our brand. This Material Culture really is our baby and me and Sam have spent months trying to turn it into something that you guys love and want to wear and to get this kind of recognition is amazing. So thanks ladies! If you want to purchase any of these pieces just click on our ‘shop’ button – every time we get an order I am so so so chuffed, and I hope you will be just as chuffed with your jewellery.